Hard to believe that somebody would build on the the lot on this corner due to the steepness of the slope. It would take almost a half-century but a single family home sits on the SW Montgomery Drive site just below where it meets SW Vista (beyond railing at top). 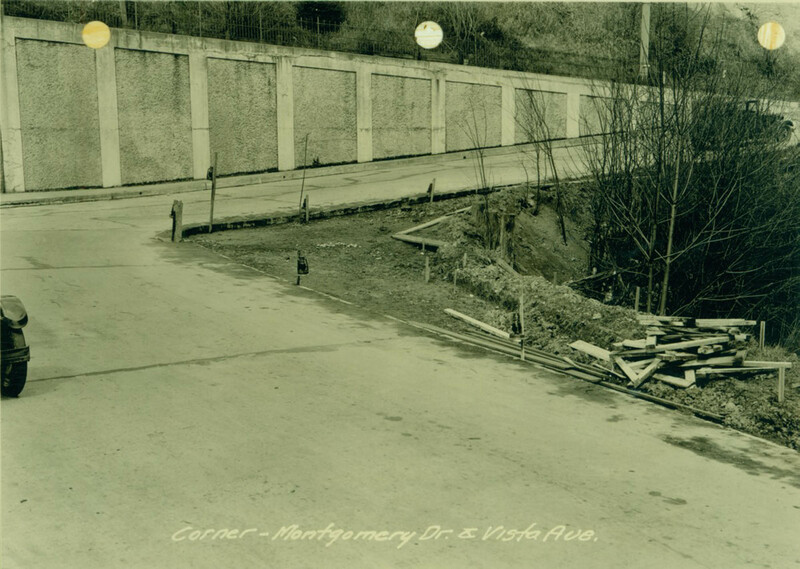 It looks like Montgomery was getting the forms removed from its first paving job.